Library Player: Would you like us to deliver Audacity training? 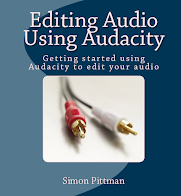 Would you like us to deliver Audacity training? With 7 years experience providing training, including four years delivering Audacity training, I can design and deliver training that is proffessional and catered to your organisation's requirements. From commerical organisations to small groups, I'll ensure that everyone can get started using Audacity to create and edit audio.